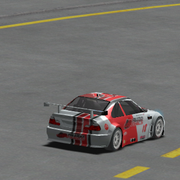 Here is one of my last works, one of the "Bavarians Brothers" livery for the regular LS2 driver Marshall Gervasi. 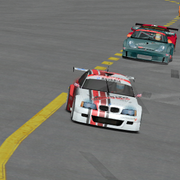 I used the Autographics logo as seen at the Espie International race track. This is one car of the twin logo modes. I've not linked them because they are already available with the regular game download. You can get them directly from the git. The shots was made during a race at Pinabashi Park.